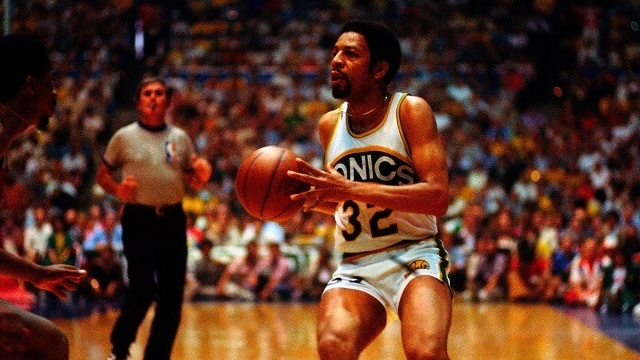 The city of Seattle has had its fair share of iconic basketball players. From home grown talent like Doug Christie and Jamal Crawford, to legendary players like Payton and Kemp, Bird and Jackson and Plum and Osahor. Before any of them there was Slick Watts. The first true icon of Seattle sports. A trend setter who changed street culture, helped usher in a new style of play and signaled a changing of the guard that reverberates to this day. The story of how Watts came to be a Seattle icon has seldom been told. It involves setback, intense training, overcoming self doubt and what might be the most important car wash in Seattle history. In the spring of 1973 Watts was in Louisiana having just finished three standout seasons at Xavier in Louisiana under legendary coach Bob Hopkins. Watts, like any other successful college player was eagerly waiting to find out where he would be drafted. While the NBA draft was very different than it is today, featuring 20 rounds and a total of 211 picks, it was definitely not done in alphabetical order. When the final pick was made, Watts’ name was not called. Before Slick could even process this seemingly huge setback, his college coach spoke to him. “Coach Hopkins told me ‘be prepared, I’m going to get you a tryout’ and I trusted Coach completely. Coach Hopkins quickly delivered on his promise to the young guard. 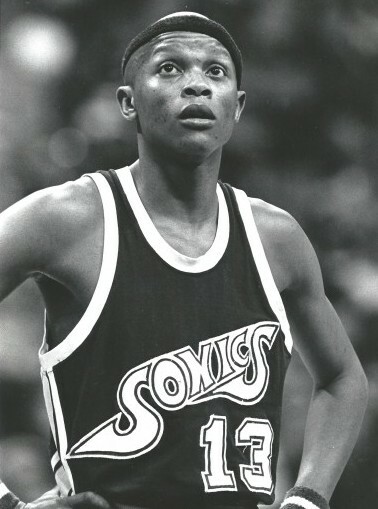 Russell was the new head coach of the Seattle Supersonics. A team that wasn’t even a decade old at the time and still searching for an identity. In Russell the Sonics had a recognizable face with an unmatched pedigree as a winner both as a player and coach with the Boston Celtics. In Slick, Russell was eyeing one of several options to help the Sonics backcourt adapt to a changing style of play in the NBA. Watts knew if he were to have any chance of making the opening night roster he would have to come in ready to show his skills. 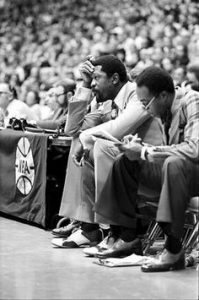 “After I got the call from Russell, I went straight to the gym for about three weeks.” Slick said of his initial preparation, “I played ABA all-star Jimmy Jones one on one every day. Sometimes for hours at a time.” After around a week, Jones told Watts how he felt about the little guards game. Walking into the gym at what was then Seattle Pacific College (now University) Slick surveyed his competition of between 50-100 other players from around the country. As many young adults faced with a real challenge, Slick was instantly filled with doubts. Spurred on by the faith his father had in him, Slick went to work and quickly had a realization that he could bring something nobody else in the tryout was willing to bring. Watts’ tenacity on the defensive end quickly made an impression on Coach Russell. His play also stood out to Fred Brown. Brown, who had played against Watts while in college, gave Slick some of the best advice anyone could give the young aspiring guard. Instead of talking trash, Watts let his effort and game speak for him. Brown’s own account mirrors Slick’s. Several days into the tryout came a pivotal moment that may or may not have played a major part in Slick making it through the open tryout period. It’s not clear how serious that statement by Russell was, but Slick still chuckles about it close to 50 years later. Having proven himself in the tryout and having survived the purge of players by Russell, Slick was invited to training camp. Brown’s assessment is backed up by Slick’s stats. After playing very limited minutes the first 9 games, Watts finally got his chance to show what he could really do. On December 1st in a game against Atlanta, Watts would torch the Hawks for 21 points in just 17 minutes. The next game would be his true coming out party as he lit up Kevin Porter and the Bullets for 24 points, 11 rebounds and 6 assists. Both games were on the road. 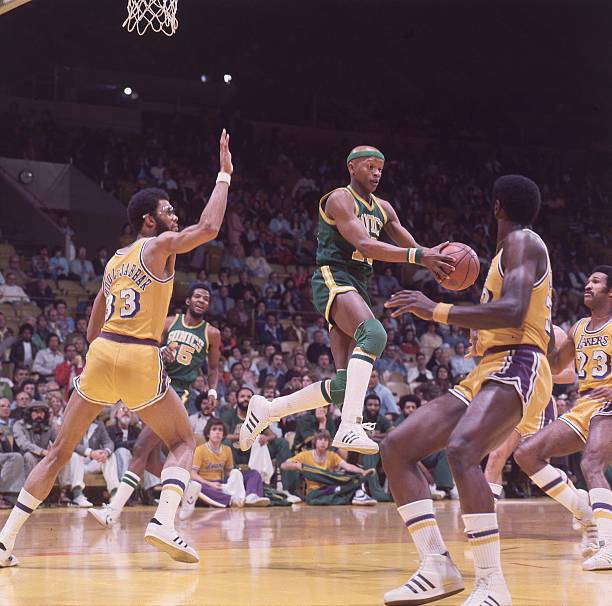 Watts would score in double figures in 20 of the 62 games he played as a rookie including four were he reached a double double. In his third season in the NBA, Watts became the first player in the league’s history to lead the league in assists and steals in the same season. By the time his career ended Watts had played 437 games over six seasons. He averaged double figures in scoring twice, over eight assists per game twice, over two steals three times and finished with career averages of 8.9 points, 6.1 assists, 3.2 rebounds and 2.2 steals per game. An iconic NBA career made possible by preparation, hard work and a car wash that has led Watts to become a pillar of the Seattle community. Since retiring her has spent decades as a PE teacher, basketball coach and community leader. After everything he achieved, Watts says he has one pice of advice able all others.